Golfers enjoy our pristine and finely manicured fairways and greens with a lineup of competitive and social tournaments throughout the season, while choosing from our two courses: our Main 18-hole Championship Course or the Par 3 Lakeview Nine Course. The Main 18 hole, par 72 golf course spans 130 acres of rolling fairways with dazzling views at every turn. Every round of golf ensures to be both challenging yet user friendly and fun for all skill levels. Proudly hosting many prestigious local, national and international golf events over the years. The Lakeview Nine gives players, families and junior golfers alike a great opportunity to play, learn and practice on this little gem of a course; Also a great choice for those short on time. Featuring outstanding practice facilities with over twenty stalls, a short game area including a practice fairway and green-side bunkers, alongside two practice putting greens, one of which is perfect for practicing chip and pitch shots. 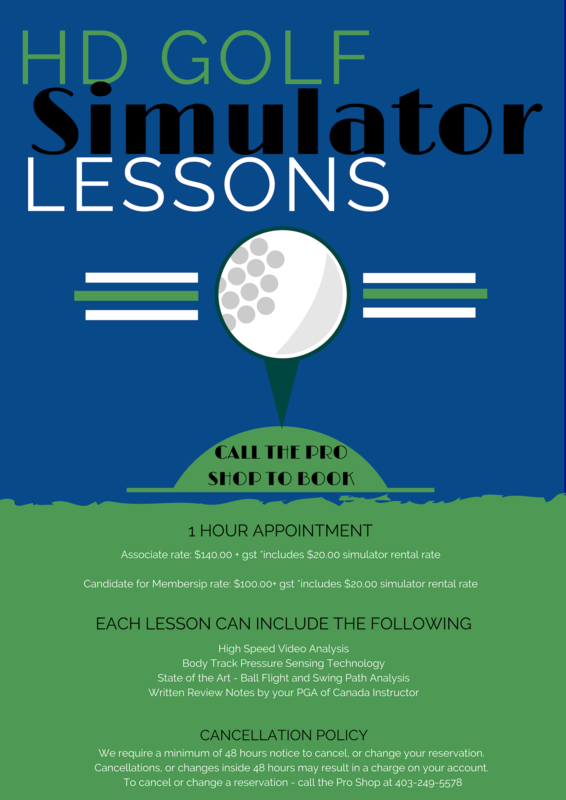 Debuting in the fall of 2018 we are excited to open two indoor high definition golf simulators and a putting lab to keep your game strong even in the off season. Earl Grey also boasts one of the best junior programs in the city for both up and coming competitive and beginner casual players. Additoinally we offer corporate tournament opportunities along with customized corporate products. Become a part of our Club! Discover the Earl Grey Course from the air! The Thor-Guard Lightning Prediction and Warning System is in place to provide increased safety to all golfers in all outdoor areas of the grounds when the occurrence of lightning is predicted. When lightning is imminent you will be warned by ONE prolonged horn blast; RED ALERT. The Board of Directors STRONGLY RECOMMENDS that all members and guests immediately suspend play or practice and seek shelter in the Clubhouse, Pro-Shop, Half-Way House or at any of the lightning rod protected shelters on the golf course. Avoid open areas, water, tall trees, metal fences, overhead wires & power lines, elevated ground, golf power carts, mowers, cell phones and radios. During a RED ALERT you are not permitted to tee-off the 1st or 10th tees. Staff are not permitted in any outdoor areas of the grounds under any circumstance. When THREE short horn blasts are sounded; ALL CLEAR, you may resume and/or start play or practice.